Escape overnight or just for a few hours onboard your own private French yacht. 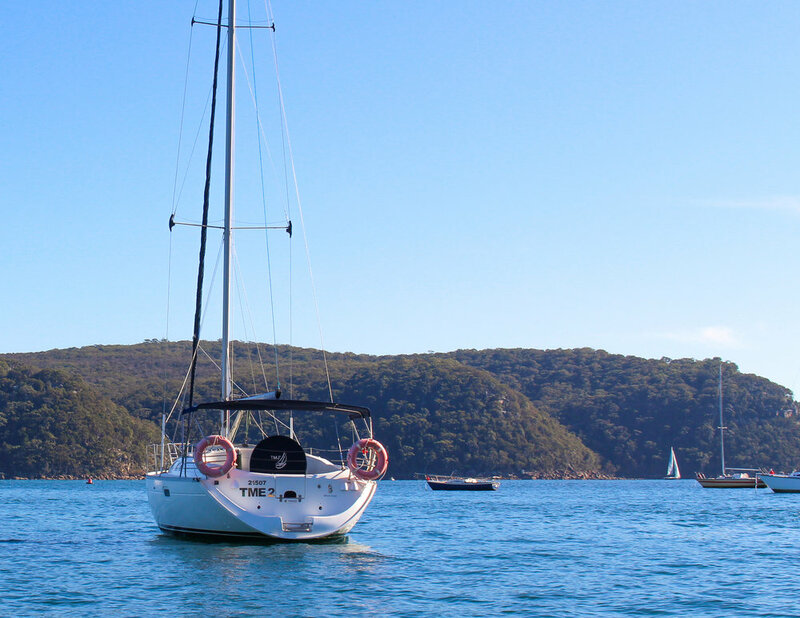 Enjoy 360° waterfront views of Pittwater whilst relaxing on deck with a glass of your favourite bubbly. A fully-qualified host will accompany you to skipper the boat, ensuring there's nothing for you to do except enjoy your experience. 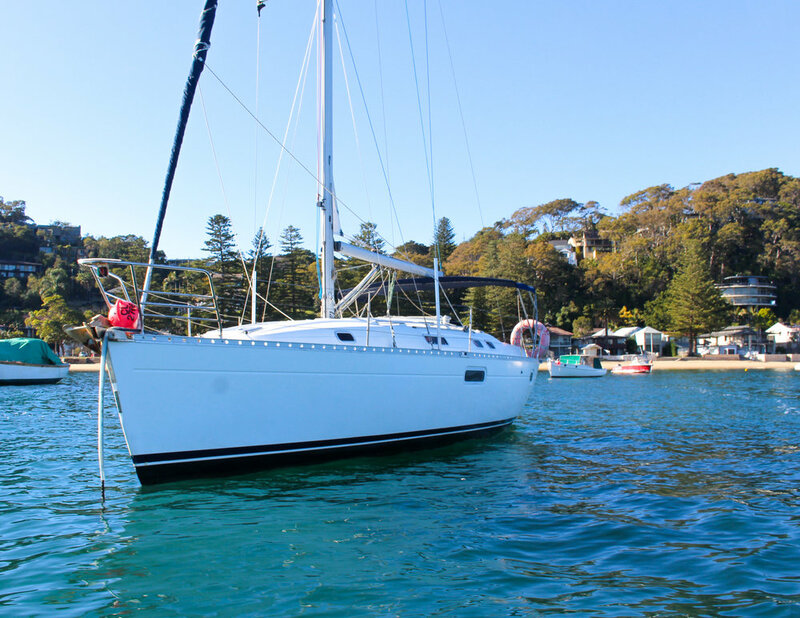 They can show you the highlights of Pittwater's scenic bays and beaches — including Palm Beach, the filming location of Home & Away. Ready for an adventure? Try your hand at fishing, or dive straight off the boat and enjoy swimming in the clear water. You may even encounter some of Palm Beach's vibrant ocean life! You can also take a rowboat to shore to grab a coffee and fish & chips to enjoy back on board. Our stylish, comfortable cabins are fully equipped, with deluxe self-contained cabins, a spacious saloon, a fully-functioning bathroom, and a large cockpit that's perfect for al fresco dining and relaxing. 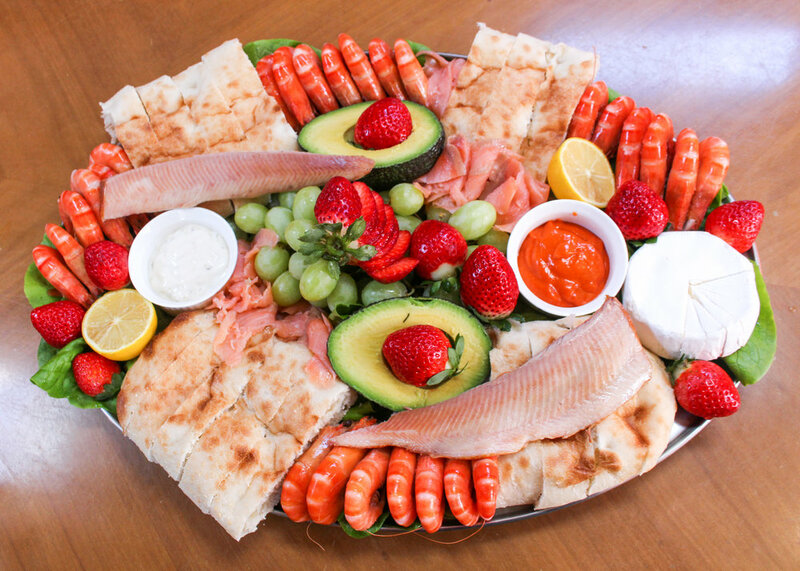 Perfect for weekend getaways, proposals or celebrations. Dietary accommodations are available on request. Please note: there is a maximum capacity of six people overnight, or eight for a cruise/day trip. "We felt like we were royalty"
"Thank you Taylor Made Escapes. Excellent service and experience. We had a really nice time on the water. We felt like we were royalty for the day/night. Highly recommended for anyone looking for something unique to do in Sydney." "Adored the time we had on our yacht"
"Just back from a lovely weekend on TME. Thank you to [the TME team]. Loved the boat, love the sail, adored the view and the time we had on your yacht. We most certainly will be back."